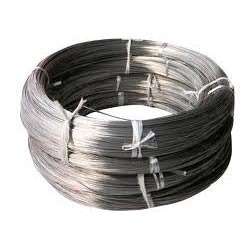 Our range of products include ss 17 - 4 ph wire, ss 17 - 7 ph wire and ss 13 - 8 ph wire. 17-4 PH® is a martensitic precipitation-hardening stainless steel that provides an outstanding combination of high strength, good corrosion resistance, good mechanical properties at temperatures up to 600°F (316°C), good toughness in both base metal and welds, and shorttime, low-temperature heat treatments that minimize warpage and scaling. This versatile material is widely used in the aerospace, chemical, petrochemical, food processing, paper and general metalworking industries.